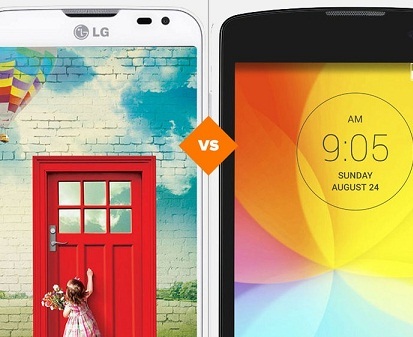 LG G2 Lite or LG L90: Check out what is the best and cheapest smartphone from LG? The LG L90 was launched in February 2014 with the promise to deliver a stable performance with quad-core chip in a device sold under $ 500. 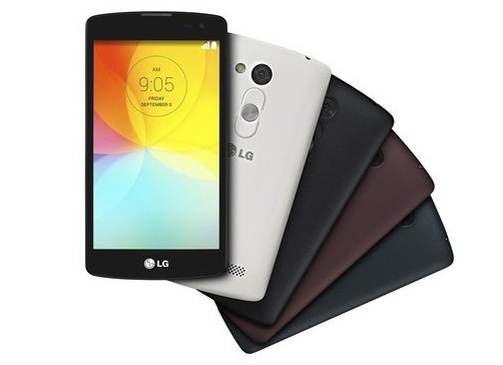 Today, it remains a good cheap option, since its price has fallen to around $ 250, but competes directly with another cell of the same LG: the LG G2 Lite, released in November 2014. Check out the comparison and find out which one is the best. The devices are very similar inside. With quad-core 1.2 GHz Qualcomm and 1GB of RAM, they are able to run with relative ease most apps and games available on Google Play, and bring the same defect: as the RAM memory is not so great as it takes time to open several programs simultaneously. But the L90 strongly highlights in the item storage, because it has internal memory of 8 GB (about 4 GB available), compared with only 4 GB (approximately 1.5 GB available) in G2 Lite. Remember that both support input for external memory, but only the G2 comes with a 4GB card factory to increase storage capacity photos and videos. G2 Lite and L90 tie on drums because they offer practically the same autonomy. With moderate use, they easily come to a day out of power, which may exceed this period, in some scenarios. It is worth a special mention to the G2 Lite, which strikes a good energy performance even with a battery of only 1,820 mAh against 2460 mAh L90. They come equipped with quality panels with IPS technology, but are far from Full HD present in smarts top notch. The L90 can be slightly better for providing a higher density of pixels on a 4.7-inch display with 34 PPI. The G2 Lite, with 4.5-inch screen, has only 207 PPI. G2 Lite is a more compact unit, with about 3 mm less than the height L90, mainly because of its smaller screen of 0.2 inches. This helps those with small hands and wants to reach across the screen easily, but the L90 winning in thickness: 9.7 mm with profile, is much thinner than the 11.9 mm of G2. Both devices bring simple materials in construction, using plastic instead of metal or glass, which is to be expected on devices around $ 250. But the design used in the G2 Lite appeals more to bring similarities to top line which includes buttons on the back and the front completely leaves the outlet screen, resulting in a sober appearance. The LG employed exactly the same cameras in their intermediaries. At the rear of both models is 8 megapixel sensor capable of taking pictures with good quality even in low light - nothing compares to tops as the G3, but it brings better results than the direct competitor Moto G, for example. Up front, however, they bring weak Cameras: G2, VGA and L90 with 1 megapixel. Despite the G2 Lite receive naming the "G Line", which usually has priority over system updates, the L90 was the first to receive Android 5.0 (Lollipop), which brought welcome improvements in interface design. Other than that, both have unique features of LG devices such as the Knock Code, which allows unlocking the phone by tapping the screen off. Despite oldest market, the L90 is still sold slightly more expensive than the G2 Lite. The first can be found for up to US $ 250, while the second reaches the minimum of $ 150. Both are easily found in major retailers, in physical stores or online. The two have the same cameras, processors, memory, built-in RAM and bring the same unique features of LG, but the L90 won by a key advantage: more space for installing applications and games. With nominal 8 GB, it tends to offer a much longer lifetime compared to G2 Lite and its precarious internal memory of 4 GB, of which only 1.5 GB are usable. The only favorable point G2 Lite is its design, which still can fall to the ground depending on the user's taste - not everyone is pleased with the buttons on the back of the line "G". In the end, the price difference, which is already small, it ends up not justify buying a G2 that, besides being less agile with updates, offers very little storage.